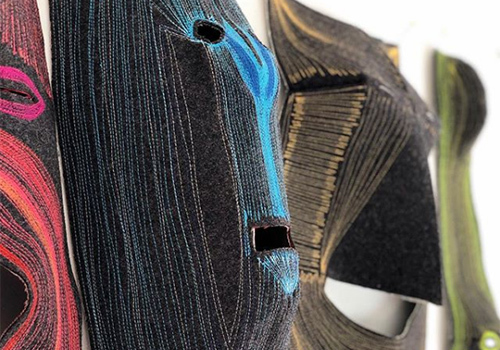 Intricate felt masks, representing the breadth of human emotion, will be displayed next to a new large-scale wall installation specially created for FIAF using rare plastic textiles hand-knotted together. 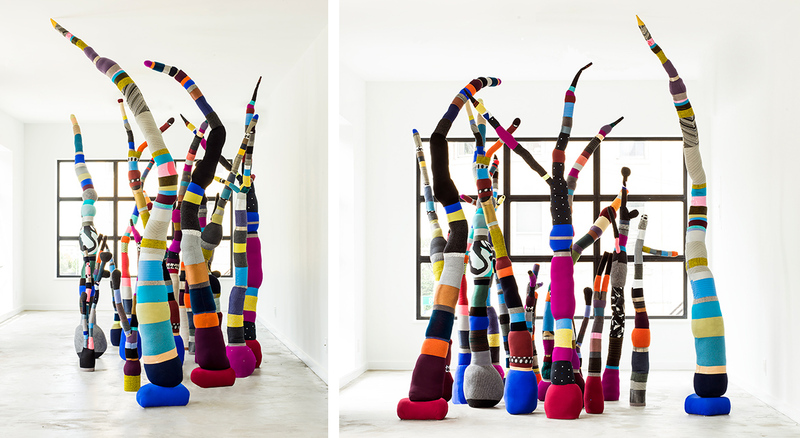 Her popular and colorful trees, which reuse scraps that the artist collects, create an enchanted landscape of nonsense. They provide a whimsical background for her soft furniture made with her manufactured woven upholstery fabrics, offering an inviting lounge-like experience to visitors. 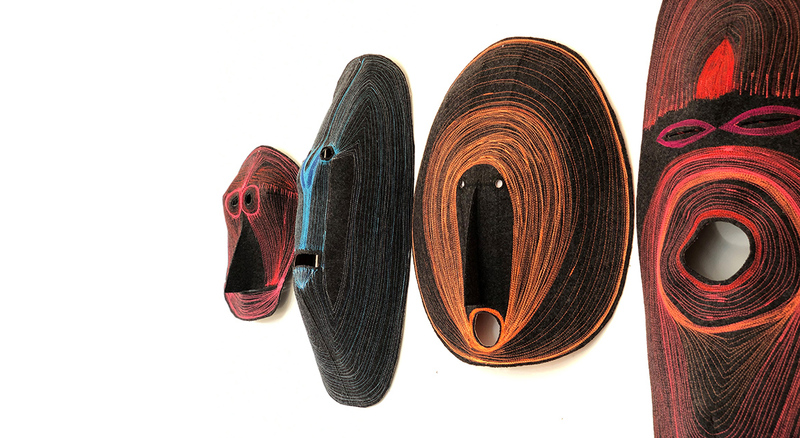 Blanchard will lead two interactive workshops for families on Saturday, May 4 and Saturday, June 1 at 11:30am where kids will use recycled materials and threads to create their own colorful masks. Details here. 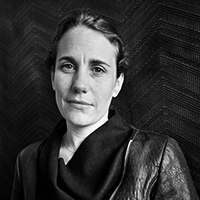 Curated by Courtney Gerarghty, FIAF Artistic Director. Kindly RSVP in advance for the opening reception on May 1. Special thanks to NYCxDESIGN and HBF Textiles.